Sometimes it’s just nice to take the time out of a busy schedule and get organised. 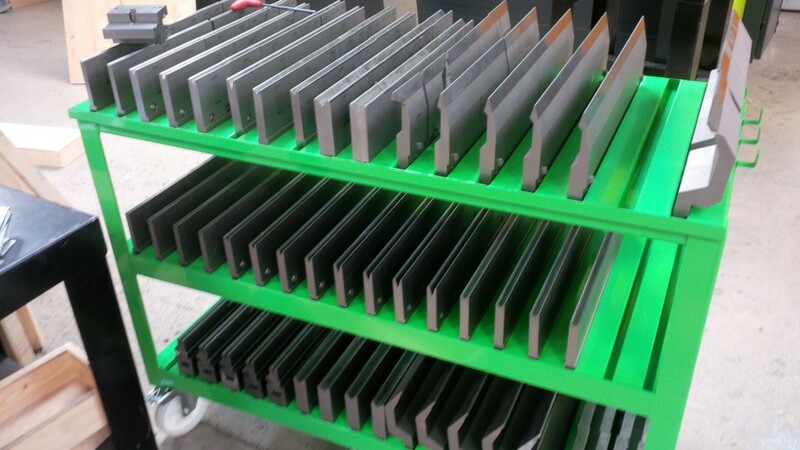 We had some much new press brake tooling come with our new Safan e-Brake that it was a great opportunity to sort ourselves out and make up a trolley rack with all the tooling stored safely together. Having the same Trumpf style tooling on both our Trumpf 7036 CNC press brake bending machines and our new Safan e-Brake bending machine means we can move the tooling direct to whichever bending machine is being set up. Follow the links to both of the CNC bending machine to see their capabilities and lots of work examples.